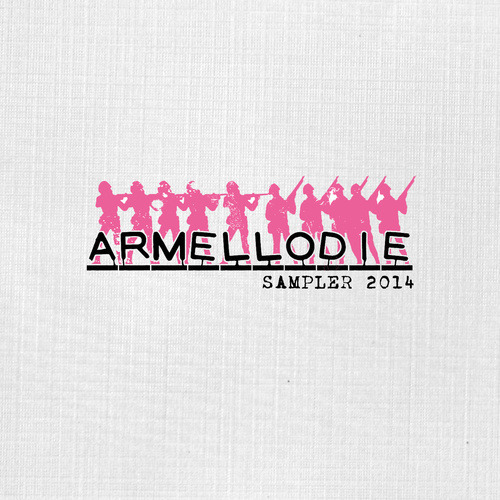 Armellodie Records // New Label Sampler - Merry Christmas! Every year’s a winner here at ArmHq but this last year has been especially productive, having worked on and released 7 new albums and a couple of booming EPs over the past 12 months it’s been mega-rewarding. On top of that we managed to squeeze in another label tour in the summertime which saw us host a string of shows around our beloved Scotland showcasing the impeccable talent that resides on our burgeoning roster. To catch up on what you’ve missed, put the skip in your step, and discover your new favourite band we’ve compiled a new label sampler. An annual toast to the hits and the floppy discs we so proudly stand behind. You can download the SAMPLER RIGHT HERE and please spread the word and support the artists involved. The new year is already shaping up nicely, we’ll have records from new troops and fresh efforts from familiar faces. Going international, we’ll be bringing you the new album from Appletop who hail from the exotic dirty south of France. C’est tres bien! We’ll also have the new album by Dan Lyth, from the slightly less exotic but no less dirty, Dunfermline. A stunning record recorded entirely outdoors. More news soon! Then there’s the second effort from garage-rock’n’rollers, Chris Devotion & The Expectations, currently holed up in the studio with producer Andy Miller, who also worked with the band on their much celebrated debut, Amalgamation & Capital. Further still we’ll be releasing the new album from Dundee’s finest young things, The Hazey Janes. The follow up to 2011’s, The Winter That Was, was recorded in Spain earlier this year and is almost all dressed up and ready to leave the house. We can’t wait. Plenty more too nae doot! Busy times. Exciting times. Join us!? All that’s left to say is thank you for your continued support. Armellodie is a teeny-tiny operation, so buying an album or coming to a show goes a long way and means a great deal to us. You deserve a holiday! Enjoy the sampler. Merry Christmas, happy new year and we’ll see you on the other side!